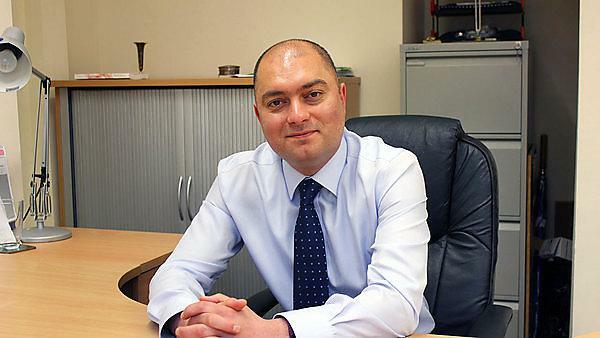 Just four years after Arash graduated from Plymouth University he became the CEO of one of the most prestigious medical charities in the UK. The Executive Master in Business Administration (EMBA) in Management was an immensely important stepping stone in shaping my future career. I stared this two year degree programme on a part-time basis – whilst in full-time employment – in April 2010, and managed to successfully complete it in 2012 with a merit. The course provided me with the essential skills I needed to learn about business management, since I had a pure science background. It ultimately enabled me to become the CEO of my organisation in January 2016. It has, because I was initially trained as an engineer/scientist but I am now in charge of the day-to-day business management of the organisation. The job itself entails a great amount of responsibility, including the exciting challenges of building, inspiring, motivating, and leading the organisation. Dealing with the exceedingly volatile external environment that has made life arduous for many charities. The challenge is to ensure the organisation remains healthy and continues to implement innovative solutions in order to keep the ship steady in the storm, so that we could satisfactorily deliver our charitable mission. So far, I would say creating our new three year strategy for the organisation. It was a fun, stimulating, and thought-provoking experience for me. It was important to involve all the team members and stakeholders in the development of the new strategy so that the ownership belonged to all, rather than just the senior management team. I love football and the dream of being able to play in the Premier League remains at the top of my list. But dreams aside, I am now fortunate to be in a position to be able to help injured athletes and patients through investing in orthopaedic research to understand more about the root causes of various debilitating bone and joint conditions that prevent sufferers from achieving their life ambitions. Working in the charity sector is extremely rewarding and knowing that realising your goals would mean that someone or something has meaningfully benefited as a result of your efforts, is great. The key is to identify what cause ‘floats your boat,’ and then, I guess, the rest comes naturally. It helped me enormously, of course. Four years after my graduation I got the CEO job in one of the most prestigious medical charities in the UK. I learned a lot from the other students attending the course. Most of them had achieved a lot in their careers and I found it extremely beneficial to listen to their experiences, which enabled me to understand and appreciate the learning points when discussing various MBA topics. Yes, and wholeheartedly. The programme I undertook was carefully structured and planned. Lecturers and invited guests were both knowledgeable and interesting. I am confident this can also be attributed to many other programmes run by Plymouth University. This is the best time of your life before everything gets really serious. Enjoy your time as a student and don’t forget that the efforts you put in and the experiences you gain during these precious years will most probably play an integral part in shaping the course of your life. For more information about studying a postgraduate management course, please visit our MSc Marketing page. For more information about our range of courses within the Plymouth Business School please visit the school page.